One on one mentoring – IINSPIRE MEDIA – Do you have a book inside you? These are all one hour sessions, held either in person, on the phone or on Skype, whichever you prefer. You can choose how often you’d like the sessions (fortnightly, every three weeks or every month, depending on how quickly you are moving through your book!). Face to face meetings are usually held in an inspiring Middle Park café, right on the beach. Julie has 12 years of experience helping students and clients write, publish and promote their books. Julie’s clients include small and medium sized business owners, doctors, therapists, real estate agents, stay at home mums, psychologists, lawyers, HR and communication consultants, mainstream published authors and hotel owners. ‘If you are looking to publish your book, then go no further than Julie Postance at iinspire media…a great name that encapsulates what Julie does! From beginning to end you will find Julie totally engaging in getting the best possible book out there and actually published. 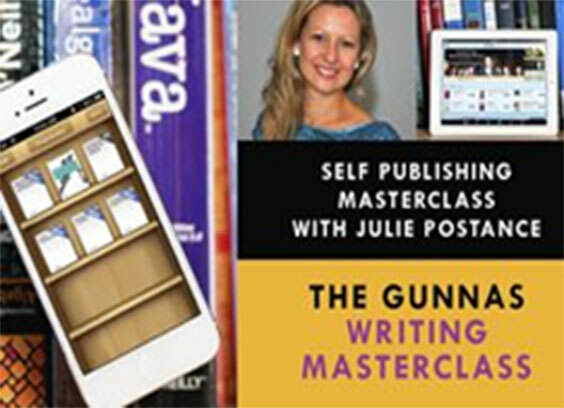 Julie is great at not only clearly guiding you every step of the way, but also gently and firmly encouraging you to stay on track and actually accomplish publishing your book. I thought you might be interested to see our new website www.litterology.com. Rob and I are due to leave for Orlando, Florida next Thursday to give a keynote address at the Keep America Beautiful conference where we’ll also be doing an American launch for the book. I hope all is going well with you. It’s now a very long list of books that you have helped get into the world! and author of The Strategic Exit.